Recently, a 23-year-old woman named Danielle Smalley has been diagnosed with peritoneal mesothelioma. 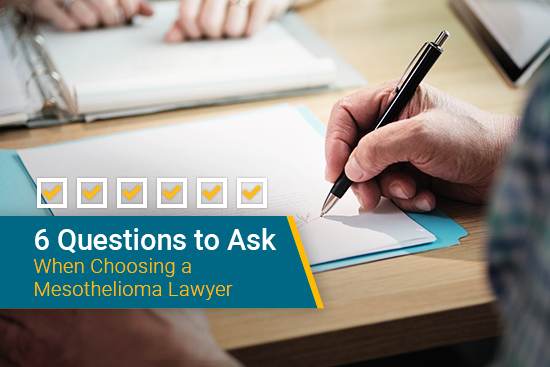 It is extremely rare for someone under the age of 45 to be diagnosed with mesothelioma, but just because it is uncommon, doesn’t mean it can’t happen. “It takes 20 years to have an effect, I’d have been two or three when I had it. It’s rare in women, rarer at my age,” Danielle said. This type of mesothelioma accounts for 20% of all known cases. Peritoneal mesothelioma develops when a person ingests asbestos fibers. The body tries filtering the fibers, but they only become lodged in the abdomen and over time they develop a tumor. “The type of mesothelioma I have means I’ve ingested it. I could have eaten something at a friend’s house, or in an old shed in the park,” Danielle commented. Danielle is from the United Kingdom (UK). In the UK, asbestos has been banned since 1999. Unfortunately, just because asbestos has been banned, doesn’t mean that it has been completely removed from the country. “I didn’t even know what asbestos was,” Danielle stated. Since asbestos can still remain in the materials of old buildings, a place that was investigated was Danielle’s elementary school. Unfortunately, no asbestos was found. “It’s unlikely we’ll ever find out where the asbestos was,” Danielle said. Doctors discovered Danielle’s tumors behind her bowel. They had assumed that she’d been suffering from irritable bowel syndrome (IBS). Since mesothelioma is such a rare cancer, sometimes it may be diagnosed as other diseases or cancers. It is very important that a patient gets a second medical opinion. Danielle plans to undergo hot chemo. Even though hot chemo has been a controversial topic in the mesothelioma world, it has proven to be very successful in combating this incurable disease. Hot chemo is a nickname that’s been given to heated intraperitoneal chemotherapy (HIPEC). During HIPEC, chemotherapy is heated to about 107 degrees and is applied directly to the patient’s abdomen. The goal of this procedure is to kill any undetected cancer cells. Mesothelioma survivor Jill Litton was treated with HIPEC after she had a surgical procedure to remove the lining of her abdomen. After these procedures, she also had 2 cycles of traditional chemotherapy. “I have a lot of faith in the HIPEC procedure. Everyone has to decide for themselves, but it saved my life,” Jill told Mesothelioma Guide. The average age of a pleural mesothelioma patient is 69 years old, whereas the median age for a peritoneal mesothelioma patient is 51. However, younger victims are beginning to become the new faces of diagnosed cases. One of the youngest patients to be diagnosed with mesothelioma was Sophie Ellis. She was diagnosed when she was only 13. What she thought was an injury from judo turned out to be pleural mesothelioma. Sophie battled her disease for 5 years before she succumbed to it at the age of 18. Mesothelioma Guide’s survivor, Jodi Page was only 26 when she received her diagnosis. She had been originally diagnosed with pneumonia. Jodi sought out a mesothelioma specialist and underwent surgery, radiation, and chemotherapy treatment. She is now a mesothelioma survivor for over 17 years. Researchers are constantly improving the treatment methods that are currently available to patients and many mesothelioma warriors are outliving their prognosis. 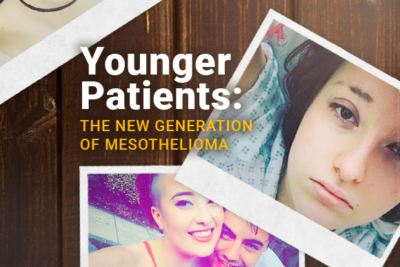 For more insight and stories about survivors beating the odds, check out our free Mesothelioma Survivors Guide. Mesothelioma statistics. Cancer Research UK. Retrieved from: http://www.cancerresearchuk.org/health-professional/cancer-statistics/statistics-by-cancer-type/mesothelioma#heading-Zero. Accessed: 10/18/2017. Young woman fights asbestos-linked cancer aged just 23 after unwittingly eating the banned substance while she was a child. Daily Mail. Retrieved from: http://www.dailymail.co.uk/news/article-4983500/Woman-23-fights-cancer-eating-asbestos-child.html. Accessed: 10/18/2017. Irritable bowel syndrome. Mayo Clinic. Retrieved from: http://www.mayoclinic.org/diseases-conditions/irritable-bowel-syndrome/symptoms-causes/syc-20360016?utm_source=Google&utm_medium=abstract&utm_content=Irritable-bowel-syndrome&utm_campaign=Knowledge-panel. Accessed: 10/18/2017. Youngest asbestos victim dies aged 18. Mirror. Retrieved from: http://www.mirror.co.uk/news/uk-news/youngest-asbestos-victim-dies-aged-241356. Accessed: 10/18/2017.